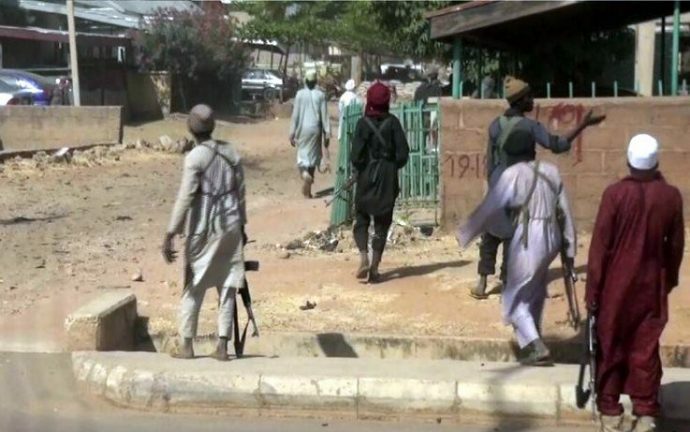 Boko Haram militants killed six members of the Civilian Joint Task Force during an attack near an IDPs camp in Ngala local government area of Borno State. According to Daily Trust, the attack took place on Friday night. Executive Director of the Network of the Civil Society Organizations in the state, Ambassador Ahmed Shehu said the attackers came in two pickup trucks and fired an RPG into the camp from behind the rear fence. “The explosion was followed by a suicide bomber, who attacked the International School Camp through the back axis of Wulgo/Zannari wall. Unfortunately, six Civilian JTF on duty were killed,” he said.